I am an adult beginner cellist. These are my thoughts on learning to play. Sometimes a little inspiration helps, so this post is not all about me and my cello today (I KNOW!! Shocking right???) I was very fortunate recently to be able to see 2cellos live in concert (from the 2nd row!! We were so close I could see every bead of sweat). The concert was incredible. These boys not only know how to work a crowd, but also to how to play a cello. During the concert they used electric cellos and played mostly their popular songs. The set list pace was great and had us all up, out of our seats and dancing. Yes, I absolutely turned into a squealy fangirl for the night. Shush. Don't judge me. I have been following these boys for quite some time now. I enjoy both their classical as well as contemporary performances. I LOVE watching the way they play with such passion and the different techniques they use. If you ever want to see a great concert from the comfort of your computer chair, check out this link to their FULL concert, "Live at Arena Pula - 2013" or watch it underneath because I just learnt how to do that! 2cellos. Yeah, you totally knew that was gonna be on the list. Watch their concert above and you will understand why. Otherwise, here is a nice short video of theirs that went viral not long ago. "Thunderstruck"
Piano Guys. I started listening to the Piano Guys not long after I started playing the cello. Their style is very different to 2cellos, but everytime I watch one of their videos, I am sitting in slack jawed dreamy eyed enthrallment at how wonderful they are. This was the first song I listened to of theirs and STILL continues to be one of my very favourites. It is "The Cello Song"
Tina Guo. She is incredibly diverse, but most of all I enjoy her Electric Cello Metal Rock. It is intense and seriously HOT. "League of Legends Live"
Gabriel Royal is a Busker in Brooklyn. That is literally all I know about him except that his voice in combination with his cello playing...WIN! "On Again, Off Again Friend"
What could be better than one cello? 120 cellos!!!! SERIOUSLY!!!! "Pirates of the Carribean soundtrack for 120 cellos"
Rob Scallon. Yes, ok, I know he has taped frets onto his cello. He is primarily a guitar player but well, have a listen anyway... "Chop Suey"
Ryan Knott. This is one of my favourite dubstep songs done on cello. The sounds this guys makes gives me serious full body shivers. "Bangarang"
Apocalyptica. Rock Cellists. 'Nuff said. This is "Ludwig Wonderland" from their Wagner Reloaded Live CD. Break of Reality. Their bio says they are a Cello Rock Band, but they are nothing like Apocalyptica. I would say they play very soft rock. If you watch this video, you'll understand what I mean "Let Her Go"
Dirty Cello. It's a little bit bluegrass/country. Rebecca Roudman is the cellist "A Road or a Life"
So that's my top 10. It changes everyday. There are some INCREDIBLE musical inspirations out there once you open your ears. OH so much has happened since I last wrote. The end of my last year was not so fun, so I am going to condense that part into one sentence...I was injured, sick and then injured again and as a result couldn't play for three months. There. Now onto the good stuff! A couple of very important things happened that changed the way I played and how I was learning. I was becoming increasingly frustrated by my first music teacher. I think as a beginner music teacher she was great but lessons stagnated and I felt like I wasn't being listened to. I was SO tired of playing nursery rhymes and out of children's books. If I had to play Largo again I was going to cry. It really wasn't her fault. She was young and her first instrument was violin. She wasn't really up to the task of teaching an adult beginner who already had experience with music. I would bring pieces in that I wanted to play after searching the internet for music that I enjoyed and these would be set aside to follow a set curriculum of beginner books and...well...nursery rhymes. Part of the problem here was that this music teacher was inexperienced. The other part is that she worked for a standard music lesson company with a set curriculum to teach. This is great if you need the structure and reassurance of curriculum, however at this point, for me, I do not. I was also playing by myself all the time. The problem with this is that you don't learn to listen for the sound of a note or get to compare your playing to anyone else. I had no idea if I was doing well or whether I should just give up because I was so crap. I absolutely yearned to play a duet or even just a piece with another cellist. The other problem with playing music by yourself is that you can play any way you like, at whatever speed you want but part of the great joy of playing music is that feeling of creating something joyous with other people and I craved that. By the end of my first year of playing I came to the realisation that I could either keep bashing my cello against this wall and lose my love for it, or I could find a new teacher and other people to play with. Soooooo, I joined an orchestra. The local community orchestra actually. This was a benchmark day for me. I had been working towards this goal, hoping to get there somewhere in 4 or 5 years as they require an AMEB Grade 5 level to join. One day, I simply wrote them an email explaining my musical background and asking if I could just watch a rehearsal and maybe learn a few of the pieces they were playing. They wrote back with the next dates of their rehearsals and suggested I bring my cello along and sit in the orchestra with them. So I did. I showed up. Almost had a panic attack and just as I was about to leave...I was swooped upon, shown where to sit and once I sat down, there was NO escaping. It was all kinds of wonderful. Even though I was thoroughly confused and lost at times, I learnt SO much that first practise and all of a sudden I was MOTIVATED again. The other cellists were so welcoming and really tolerant of my many desperate looks and missed notes. It turned out that the head of the cello section also teaches. So I started attending private lessons with her. I cannot explain what a difference it has made. We casually follow a set format to the hour lessons. 2. Scales first with an emphasis on controlling bowing and listening to sound for pitch and quality. 5. Understanding the notes that have been written on technique and practise homework during the lesson. Christine always has her cello on hand. Even when I play the solo Dotzauer exercises, there are times when she plays them with me and times when I play by myself. I cannot stress enough how important it is to play the pieces with someone else. I control my pitch better, I keep time better, it is a happier experience even when I get things wrong and my playing dissolves into something terrible to the ears. One of the best things she does is watch me play, then try to work out what I am doing physically so she can SHOW me what I am doing and how to correct it. It is invaluable learning by doing and seeing. She ASKS what pieces I might want to learn, gives suggestions based on what I enjoy doing and even when I pick a piece that may be beyond my technical level at this point, always sees it as a great way for me to learn new things, no matter how long it takes, even if we have to learn it one bar at a time. And she does it all with a great sense of humour and positive attitude. Every music lesson, I move ahead with my playing and all of these things combined is what I really enjoy about my lessons now. "Hey! Look! There's a cello!" I had these little beauties tattooed on my wrists in May! What a difference new strings make! I have been playing lately. Quite a lot. All of a sudden it feels like I have come very far with my playing and I just can't get enough of it. So I decided I would treat myself to new strings. Sooooo...a string is a string right??? This is a GREAT article on different types of strings, what they are made of, what they are used for, etc. If you are thinking of buying new strings and are confused, or like me, simply had NO clue, you MUST read it! After reading that article, and some other reviews of strings, I called my local friendly luthier* and made an appointment to see him. It was SUCH a good idea, if I do say so myself. I learnt HEAPS. I was able to ask questions. Lots of them. I always have so many questions and it was really good to talk to someone who was willing to answer them until I was exhausted. 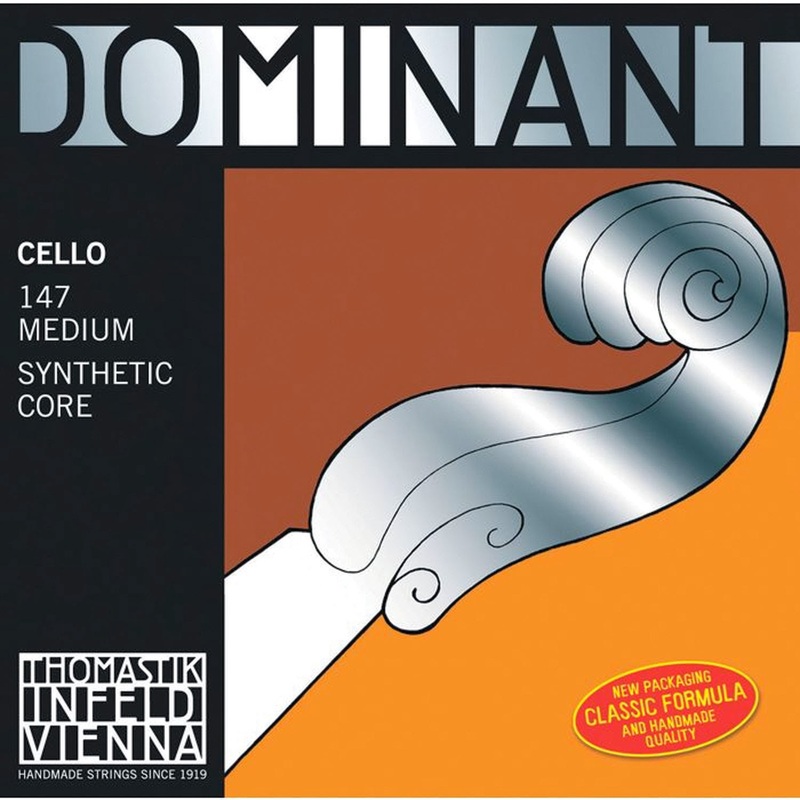 We talked for about an hour or so going over various parts of my cello and seeing what needed to be done where, discussing whether at this stage in my playing I really needed it and going over all the cello product in the store and its limitations and strengths. Me (skeptically): Is it really going to make a difference? Luthier: Yes. The strings are what make the sound. The body of the instrument is what amplifies it. Currently you have metal core strings on the instrument. They are factory strings, made cheaply and sound tinny. They are made to be replaced. M (looking longingly at the beautiful bows): So if you could only buy ONE thing, which would it be, new strings or a carbon fibre bow? L: The strings. The carbon fibre bows are lighter and stronger, they may allow you to play for longer because of that, but that are basically the same. When you change the strings, you will change the sound of the instrument. M (getting down to business): What strings do you sell and what would you recommend? L: We sell Pirastro's and Dominants and I would recommend the Dominants. If you talk to ANY cello teacher around this area, they will say they prefer their students to upgrade to them. They are a synthetic core string and make a really nice sound when on the instrument. There is no doubt though that the Dominant Strings are more expensive. Cello strings are going to be more expensive than say, violin strings, no matter WHAT you get though, so you need to be prepared for the cost. In the end, I went with the Dominants. I have to say, it WAS expensive. The Strings and set-up (restringing,etc.) together cost about $300. The full set of strings alone were about $260. What a difference the strings really make!!! The sound is clearer and indeed, less tinny (I thought it was just my terrible playing!!!) and the difference in sound makes a difference to my confidence in PLAYING. I am still at the stage of tuning them a LOT though. They are settling. But I don't mind. I am learning the sound of each string every time I do it and I just like LISTENING to the sound sometimes. Now if you will excuse me...I have to go have a conversation with my cello about a man called Beethoven. * NOTE: There is a very good student quality music store that also offers lessons and sells instruments and music within a 20-30 minute drive from where I am. I actually spend quite a bit of time chatting to their staff, who even though I do not take lessons there, are always willing to help and give advice whenever they can. They were called Play Today Music, but I believe they are going through a name change to Academy of Music. This is their website... http://www.playtodaymusic.com.au/ If you live in North Brisbane and are a student or the parent of a student, GO SEE THEM!!!! "No more than 10 minutes at a time increasing to 30 minutes over a period of 7-10 days." I may not have paid any attention to that. I may in fact have simply launched myself back into playing with verve and vigor and the first day played for an hour...or maybe two. Then I may have spent the next day and a half moaning about the ache in my shoulder, picking up the cello while looking around guiltily for any witnesses, playing for 15 minutes, putting it back on its stand again, and moaning some more. When I picked up my cello again, it all came back to me. I found the practising I had done in my head while not being able to play had actually STUCK. That the bow hand exercises I had cursed at every time I dropped the bow, had actually worked. Music that I had been reading like it was a trashy novel leaped to life. I could hear the difference in the way I sounded. I could feel the confidence in my bow hold and the way I moved it across a string. I learnt so much by NOT playing. More than I realised I needed to learn. It was like taking a breath after you have been holding it for awhile. I can play cello again. I can play cello again. I can play cello again. I can play cello again. I can play cello again!!!!! I can play cello again. I can play cello again. I can play cello again. I can play cello again!!!!!! Ohhh....hello my dear friend. I have missed you. I can play cello again. I can play cello again. I can play cello again. I can play cello again!!!!!! I had a lesson on Saturday where I had to explain what I had done to myself, then sit in and listen to my daughter playing her exam pieces for an hour. We discuss a lot of technique and such for both violin and cello while the lesson goes ahead, so I get a lot of advice. However, my fingers itch to pick up my bow and draw it across a string. I find myself standing next to the cello and plucking the open strings with my good hand just to hear it whisper to me. ENOUGH brooding. I'm terrible at both patience and sitting around doing nothing, So what CAN I do? Well I am so glad you asked...I can strengthen my bow hand. I have been googling this as I am still fiddling around with my bow hold trying to find something both comfortable and practical. My bow hand often gets tired after I have been playing for awhile and I know that part of this is because I am still tensing up a lot. Some of it is because I am not holding the bow properly. A lot of it is probably because hand and arm muscles are physically UNFIT for the task. So, I dislocated my left shoulder slipping on the floor and tore a couple of ligaments. 8 hours in Emergency and I have been put in a sling, ordered off the cello playing for a week (not that I COULD play anyway because it HURTS and I can't lift my arm enough to settle them on the strings), and then physio on the shoulder after that. Hopefully, I will be back to playing in a couple of weeks. My poor cello lays sleeping in its soft case on the floor. I haven't had the heart to unpack it and put it on its stand. I miss playing. My hand misses the bow curled in its fingers. My arms the pressure of the bow on its string. I can see callouses I never noticed before on my left hand fingers and can feel the loss of sensation that comes with them except for when I am placing them on the strings. Music sits unplayed and unopened on sidetables. This is what a beginner sounds like.